At Amen Street Fish & Raw Bar, creating an exceptional dining experience for our guests is something we take seriously. We are pleased to offer a range of happy hour appetizers along with our expansive drink specials that are sure to have you keep coming back. Join us any weekday from 4 to 7 pm to treat yourself to an unforgettable experience at unbeatable prices! Who says you can’t have seafood during happy hour? Our appetizer specials include the same fresh, quality dishes that have given Amen Street its reputation as one of Charleston’s best purveyors of fine seafood. 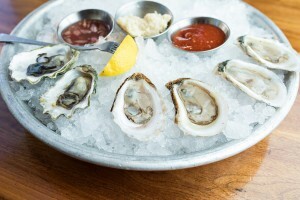 With options like freshly shucked Oysters and delicious Lump Crab Cakes served with a sweet onion remoulade, you’ll be hard pressed to find a more unique happy hour menu anywhere in the city. Choose from more great appetizers like our Crispy Jumbo Calamari, prepared with lemon aioli, corn, tomato, bacon and green onion. 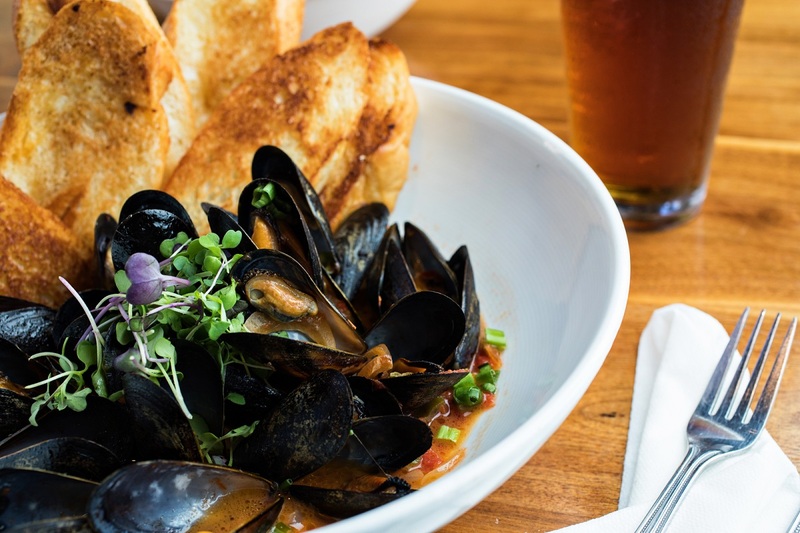 And our fresh Mussels beckon the taste buds too, cooked to perfection and served in a white wine sauce with tomato, garlic and a slice of grilled bread. 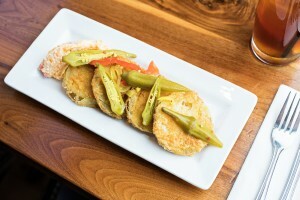 And don’t forget to keep it local with our delicious Fried Green Tomatoes. The perfect complement to any seafood dish, our take on this Southern classic is served with sweet and spicy pickled okra and a hefty side of pimento cheese. Our happy hour appetizers stand out from the crowd. Nowhere else in Charleston, SC can you enjoy weekday food specials as varied and unique as those found at Amen Street. From our famous seafood specialties to a healthy range of refreshing beverages, an evening at Amen Street is always one well spent! Join us tonight to enjoy excellent drinks, great food, and plenty of good conversation in a warm and inviting atmosphere. We look forward to serving you!